As the weather has changed here in Ontario and I’m resentfully pulling out socks every morning I’m feeling more and more tired. Is it simply resenting the feel of these thicker clothes or does the reduction in sunlight actually have this affect on everyone? 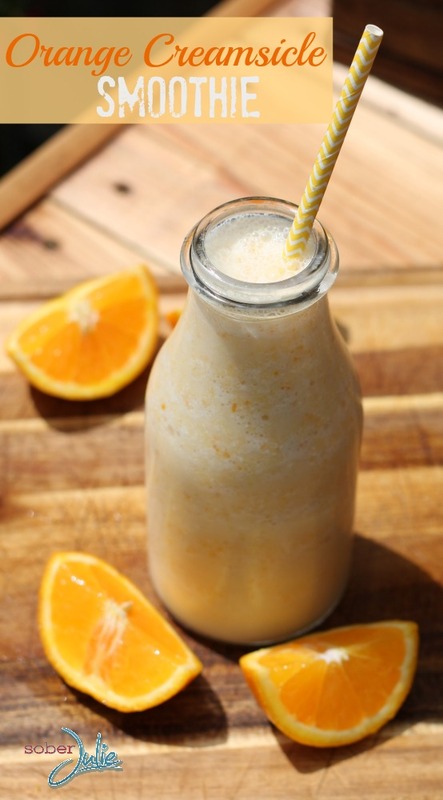 I don’t know but I do know that I cannot rely upon coffee to get me going in the mornings so I was on a quest to find a great smoothie recipe to give me the boost I need in the mornings. Recently I was provided a GORGEOUS KitchenAid Diamond Blender for a future review (make a note to come back for that one!) which had a recipe from KitchenAid which is jammed with fruit to fuel me up! 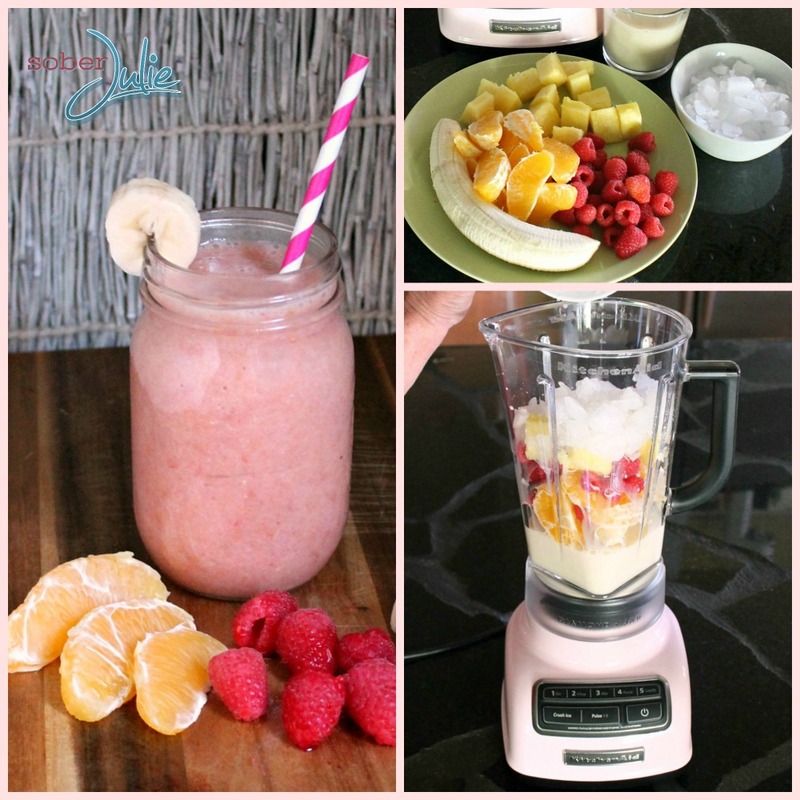 It’s their Energy Fruit Smoothie Recipe and I’m going to share it with you all simply because I prefer to think that I’m not the only one who is lagging these days. There is beauty in shared challenges right? You just cannot get more simple than this! 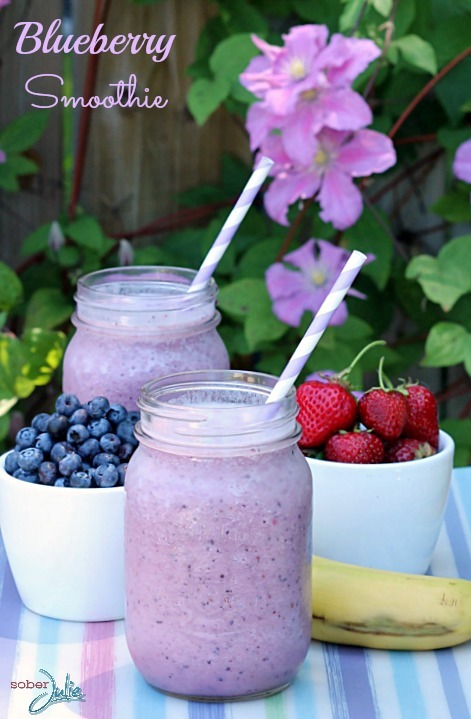 Place all ingredients into the blender and blend on medium/high until it reaches your desired consistency. Pour into glasses and enjoy! 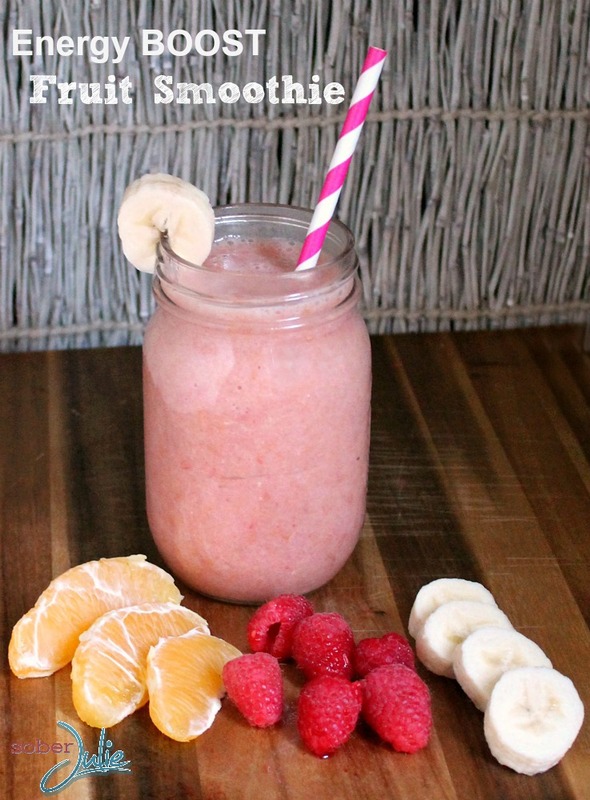 There it is friends, a lovely smoothie which will get that fruit into your daily diet and help keep energy up! 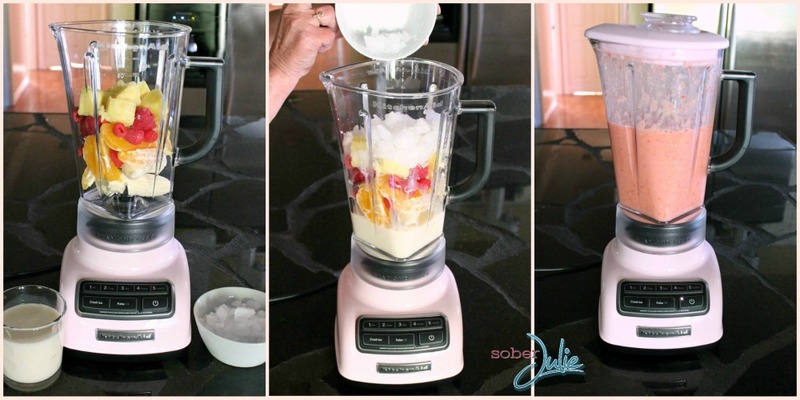 Don’t forget to come back to see what else I’m making with my KitchenAid Diamond Blender…..and if you’re looking for other Fruit Smoothie Recipes, here are a few we love. If you use frozen fruit the end product is better. 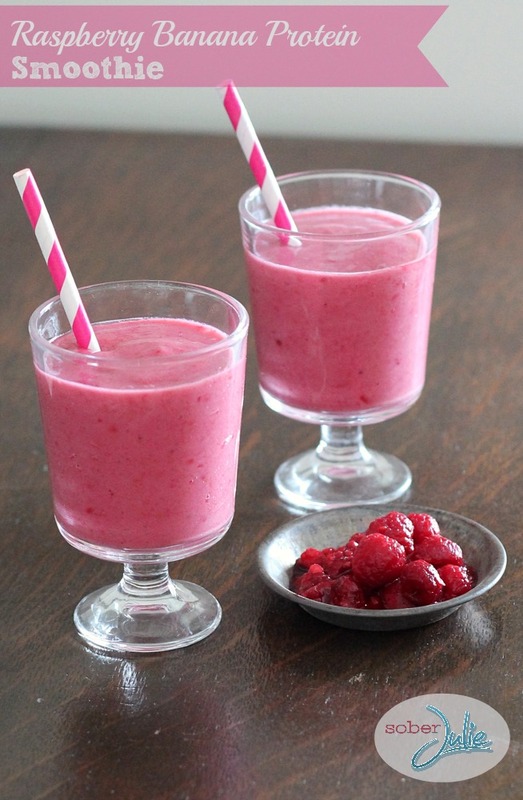 Use frozen fruit instead of ice and it is smoother. I used frozen fruit this morning because that was all I had. It turned out great. I used the berry medley. My favourite ingredients are always the fruit especially raspberries. 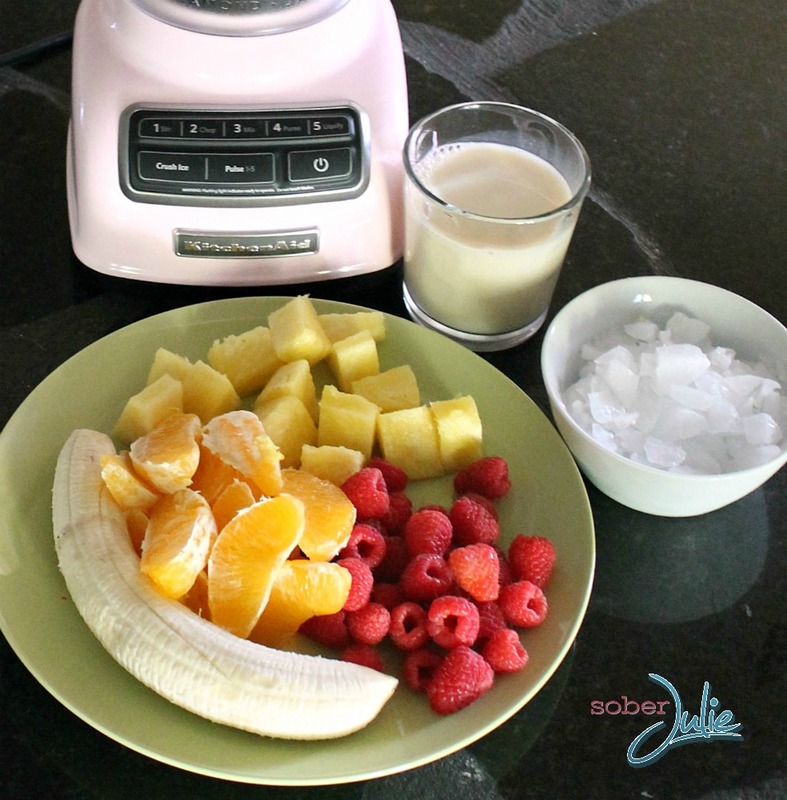 Hope I win the blender so I can recreate your fabulous smoothies. Lol! Thanks for this awesome giveaway! My favourite ingredients are the bananas and the pineapple. When I make a smoothie I always us these 2 fruits because everyone in the family loves them. This looks soooooo delicious! There is no limit to the types of smoothies and other concoctions one could make with this splendid blender! I replace the almond milk (don’t care for it too much) w/ coconut milk and also add some protein powder. YUM!!!! My grandmother would make me a protein powder and milk drink about 35 years ago. What type do you use? I have often wondered what it was she used! I remember it being a light yellow color I THINK!! I use Herbalife. The vanilla flavor is a light tan color. I am allergic to pineapple what would be a good substitution? Any other fruit which has a strong flavour really. Perhaps kiwi? Can you substitute the almond milk with regular milk? Amazing, I sadly had to substitute the raspberries for strawberries, but I also added blueberries and it turned out wonderful. It’s so sweet that I can’t tell which is worse for me, candy or the smoothie. I did add more almond milk and it did come out quite smooth that I will have to try this again soon. Can you use something other than almond milk. Like non’fat milk. Saw your picture on a smoothie recipe roundup and had to see the recipe. 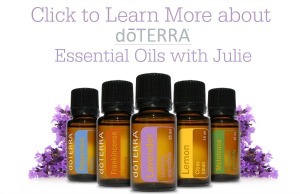 :) Thanks for recipe and I like the positive message on your website….everyday is a new day.